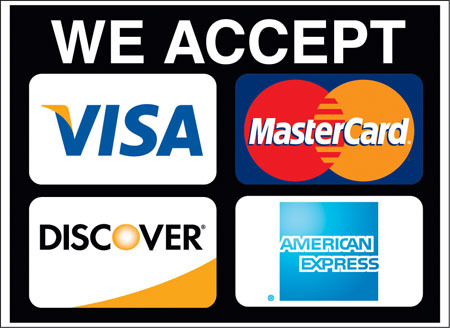 Forms of payment accepted by our office are: cash, check, and major credit card (VISA, MasterCard, Discover, and American Express). We will do everything we can to help you afford the treatment you need and want. For patients who require major work, a complete payment plan can be custom designed for you with an appropriate payment schedule. We have electronic records that provide an estimate of insurance coverage and ask that you pay for your portion of the bill at the time of service. We are happy to submit insurance forms on your behalf to help you recover the most from your provider benefits. The world of dental insurance is ever changing, as patients and employers change providers on an ever increasing basis. Please let us know of any changes to your insurance at the time of your next appointment. If you have insurance other than listed above, you are often still able to receive dental benefits. Many times, coverage is the same as at other offices for routine procedures but there may be some differences. Many insurance companies discount the price that they will pay on your behalf and offices that accept these rates are confined to perform the procedure within this allowed cost. To maintain the quality of dental care that Dr. Cochran desires to provide to our patients, we have chosen not to contract with many ‘discount’ plans. The price of quality dental materials and lab fees are a large portion of the procedure cost. By not compromising here, we are able to to perform the quality dental work that you expect and that we demand. We will work with you and the insurance provider to retrieve any coverage that you may have. Each plan, even within the same provider, has differences, and there is no way to know exactly what your particular plan will cover and at what rate. Dr. Cochran and staff can submit a pre-determination on your behalf to receive and estimate from your insurance company to determine what coverage is available. These estimates generally take up to a month to process by the insurance company and often come with a disclaimer, but are a good way to know how a non-emergency procedure will be covered. You can also contact your insurance company directly to learn about your coverage. If you work at a larger company with an HR department, they can also be very helpful in explaining coverage benefits. If you have any insurance questions, call us today at (816) 436-2150.